Yes, I know I should be working on my Gibson Girl dress, but as most crafters and costumers know, “Look oh shiny!” syndrome makes us easily distracted. A while back I bought some fabric printed with hot air balloons from Spoonflower. I wasn’t sure what to do with it, but decided to do a quickie project to reduce the stash. The skirt is just a simple gathered one, with an elastic waist and serged seams. 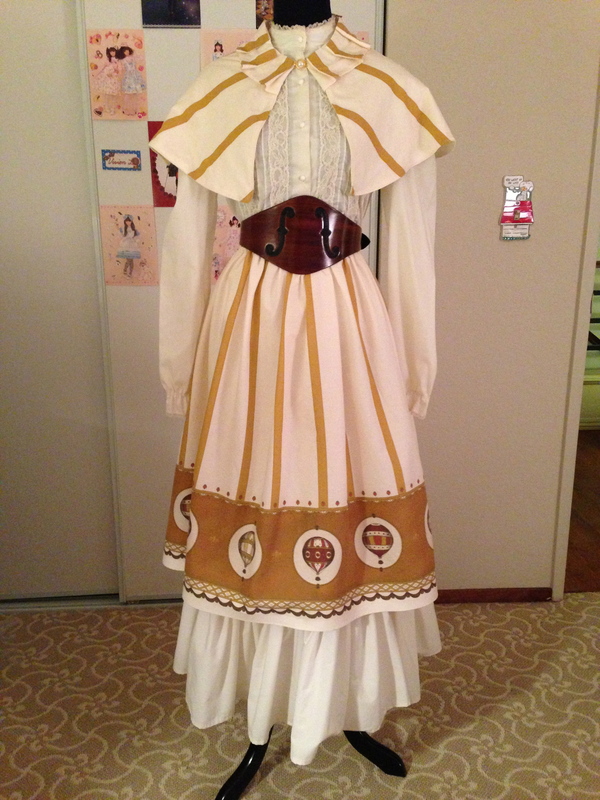 There are no pockets (or even a lining) so this was an extremely fast make. 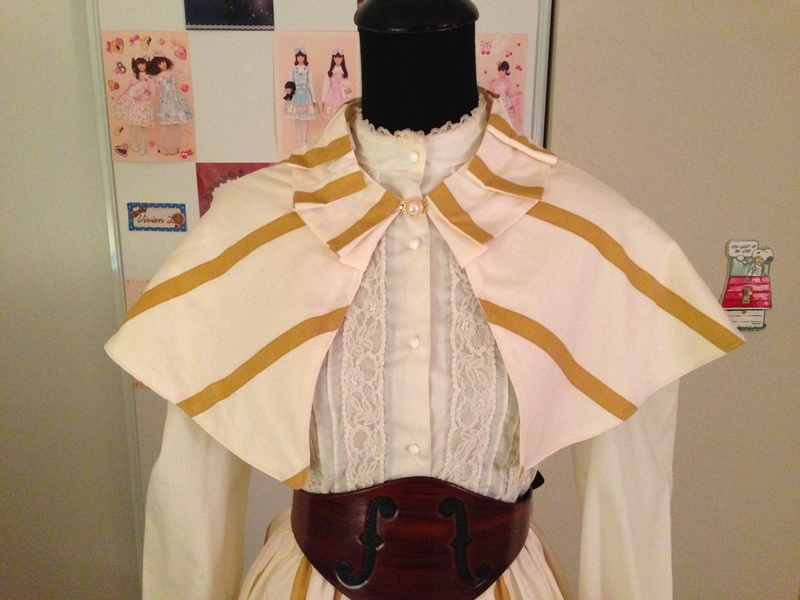 The capelet was a little more fiddly because I had to piece it together from the scraps of the skirt. (I used 2 yards total for this whole project). The pearly thing in the middle is a jewelry clasp. The beautiful leather violin belt was a Christmas present from my husband. He bought it from Etsy. The blouse is vintage and the underskirt is a tiered cream cotton petticoat I made for my wedding a few years ago. The capelet isn’t quite even so I need to make some minor tweaks. Also, I still have to figure out what sort of hat or fascinator to make. I plan to wear the ensemble to a steampunk-themed lunch outing at a ice cream bar. Posted in Steampunk and tagged costume, sewing, steampunk. Bookmark the permalink.